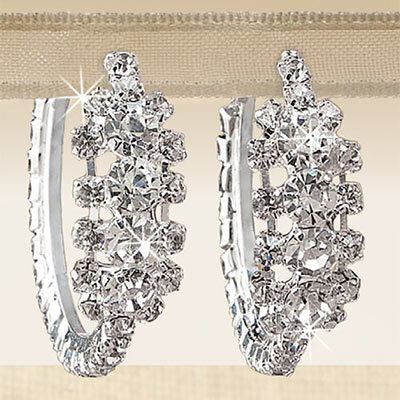 Up the glamour with these Brilliant Evening Earrings! Dazzling filigrees of clear, faceted crystals set in silver-tone. Pierced post with clasp back. 1¼" dia. Hurry! Quantities are limited!